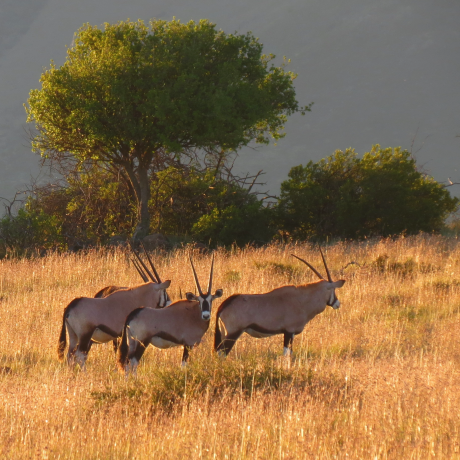 I have long wanted to go to Mount Camdeboo Private Game Reserve in the Eastern Cape, scenically set beneath the Sneeuberg Mountains, conveniently accessed from Port Elizabeth and close to the historic town of Graaff-Reinet. My recent first visit to the reserve provided a unique game-viewing and nature experience, with breathtaking view sites, great sightings of plains game, good birding, beautiful vegetation and with cheetah on the property too. This, coupled with clear sunny days and pleasantly cool nights, made for a delightful and relaxing few days in this pristine landscape. The hospitable management and staff take impeccable care of their guests, and our experienced game ranger opened up Mount Camdeboo to us in a very personal way – he was knowledgeable and interesting and we left with many happy memories, longing to return. 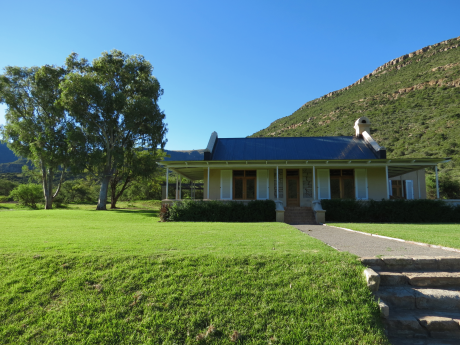 The accommodation options are housed in three Cape Dutch styled restored former homes. Camdeboo Manor offers hugely comfortable rooms, with every amenity you could wish for whilst spacious lounge and dining areas, both indoor and outdoor, spill out on to a beautiful garden and magnificent swimming pool. Just four suites in the Manor plus one, in the garden, in a secluded setting ideal for those wanting complete peace and tranquillity. Rates which are remarkably affordable, are fully inclusive of very good dining, local drinks and two open vehicle game drives daily, with the option too of guided bush walks and other activities which for us included a stop on the property at an Anglo Boer War battle site and graves. For those who prefer to self-cater, Mount Camdeboo offers comfortable, luxurious and exceptionally well designed options for families and friends travelling together. The charming ‘Hillside Manor’, scenically situated against the mountain with its own swimming pool, excellently appointed kitchen and three en suite bedrooms so ideal for up to six guests. A shady verandah, comfortable lounge and dining areas, and a rate that includes a game drive or walk every day, it exceeded my expectations. Should you have a larger party, ‘Courtyard Manor’ also self-catering with absolutely everything you need will accommodate up to eight guests. Mount Camdeboo is a rewarding destination and an added plus, is the fact that should one want to overnight in Graaff-Reinet to view its many national monuments, museums and galleries, the legendary Drostdy Hotel there, is being restored and will reopen later this year, and promises to be even more special than before.